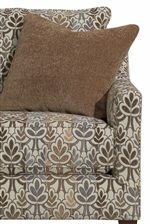 The Miami upholstery collection serves up transitional, clean lines for a beautiful look in your living room or family room. 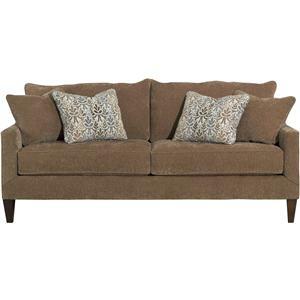 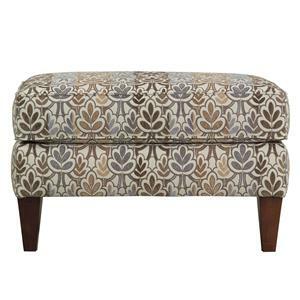 Plush, loose pillow backs, sloping track arms, and mid-century modern tapered wood feet combine for a fresh look. 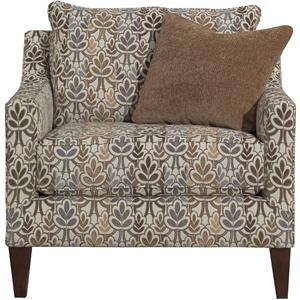 With many fabrics available for the body fabric and accent pillows, you have the ability to customize the look of the sofa, loveseat (not shown), accent chair, and ottoman for your taste and decor style. 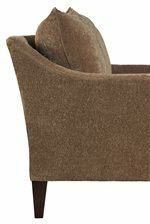 Browse other items in the Miami collection from Belfort Furniture in the Washington DC, Northern Virginia, Maryland and Fairfax VA area.